summer, my favorite time of year! our lovely katie is kicking off summer vacation with her husband on a jaunt to bali, lucky girl, i'll let her tell you all about a spot i've only dreamed of visiting. bali has long been on my travel bucket list and after a wonderful week exploring this indonesian island, i can say it is truly worth the effort it takes to get there; the beauty of the coasts and the culture were beyond my expectations and imagination. 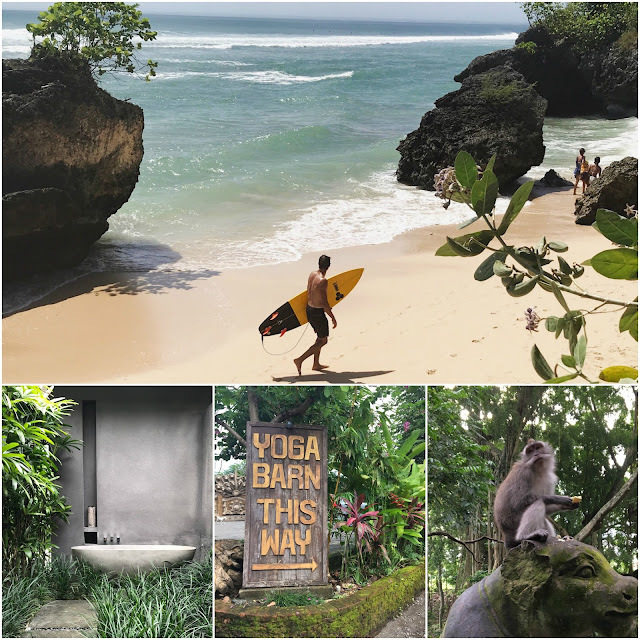 we spent the first part of the week discovering the striking beaches, basking in the bath-temperature indian ocean, and scoping out (me) and riding (him) the world-class surf before heading to the more urban and jungle-y village of ubud. 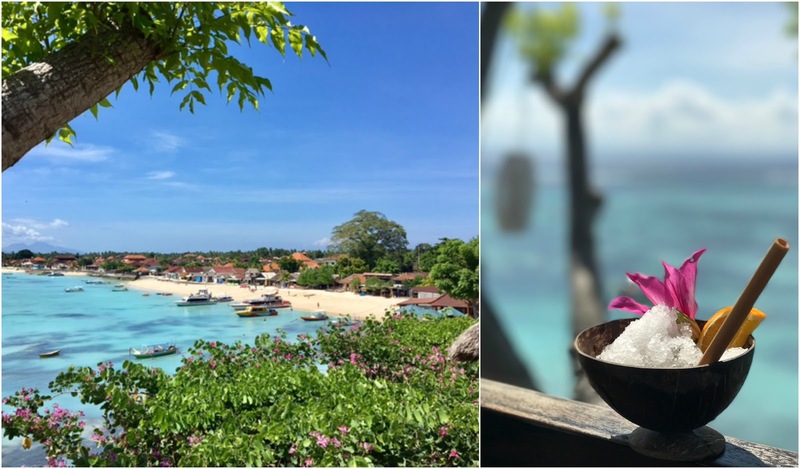 if you find yourself on bali, i can't recommend enough to take the 30-minute ferry ride to the nearby island of nusa lembongan to snorkel (or simple stare out at) the stunning turquoise waters. wherever we went, i was delighted by the delicious, fresh and seasonal food throughout bali - especially the gorgeous smoothie bowls i formed a habit of ordering every morning! with so much to see and do on bali, one week felt like a tease... but i know we'll be back! Bali looks fab, and in the refreshing colors of Kai! Thanks for sharing those gorgeous pics. I'll have to put it on my bucket list.